Mario López, Courtney Lopez, Austin Nash Chase et al. 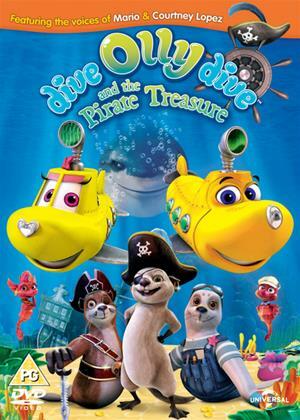 Children's animated adventure following submarine-in-training Olly (voice of Austin Nash Chase) and his best friends. Olly is joined by Beth (Hannah Victoria Stock) and Bobsie (Courtney Lopez) as they set off in search of a mysterious hidden treasure. The gang soon run into trouble however, when the notorious Snarky Sharkskin (Richard Epcar) arrives with his seahorse crew looking to claim the treasure for himself.